Comedy which has won the hearts of many and become one of the most loved westerns of all time. The Academy Award winning story are given life and vitality by an outstanding cast at the height of their careers. 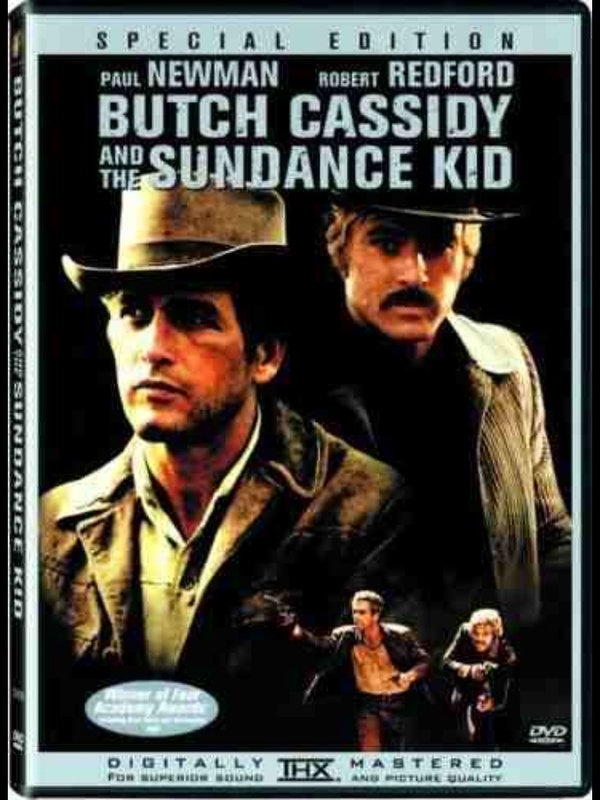 Robert Redford and Paul Newman are pure cinema dynamite, in this case literally! Two of histories most famous outlaws are given kindly treatment in this superb and extremely funny comedy, following them from disastrous robberies to their Bolivian escape and within a moment of the end of their lives. The beautiful American backdrops themselves almost become part of the cast as the journey, either to rob someone or escape from someone. As their attempts to live an “easy” life disintegrate, usually in a numerous fashion, the two bond every closer even with the girlfriend of one tagging along for the ride. Only strange note is the lovely but incongruous “raindrops keep falling on my head“, itself an Academy Award winner, odd check but popular. The entire movie probably extremely inaccurate, historically speaking, but you won’t care one jot!